What is a CMMS ? The offline CMMS mobile app MAINTI4®, is issued from the CMMS MAINTI4® software, created by TRIBOFILM. Easy to use, you can manage your maintenance and remote access remote to your CMMS’s informations. Make your daily easier and save time while browsing from one module to an other from your smartphone or your tablet. 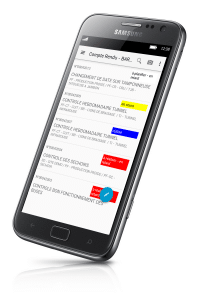 Independant, the CMMS mobile app MAINTI4® synchronizes automatically to a wifi network ou 3G/4G along with your CMMS MAINTI4®. Our mobile disconnected CMMS is available exclusively on Android Google Play Store . 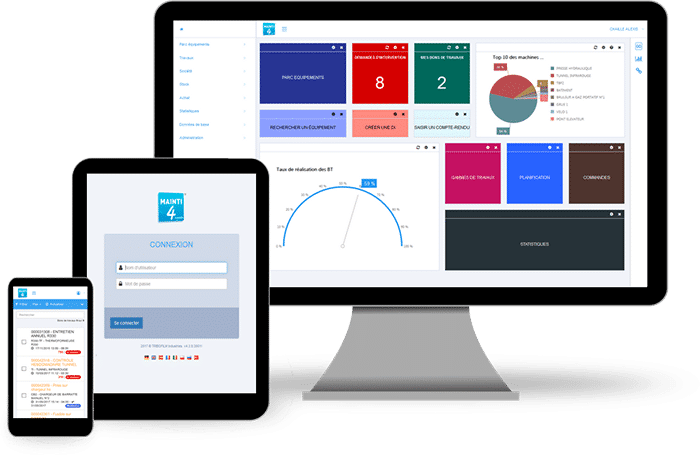 However, if you use an operating system (IOS, Windows phone…), and if you need a full connected CMMS, consult our MAINTI4® Full WEB version, a CMMS solution accessible from internet. 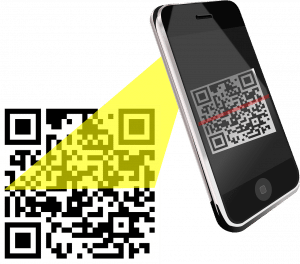 Realize and sign electronically your reports directly on your mobile phone. Send it automatically to your clients by e-mail. Save time : no more rekeying ! We strive to answer your needs and make your daily easier. The mobile app CMMS MAINTI4® has been created thanks to your field experience ! CMMS mobile MAINTI4® : Valuable time saving for your maintenance !